What is a Green Clean? A green clean can be most simply described as using environmentally friendly products which are designed to preserve human health and environmental quality using only sustainable cleaning methods and procedures. With global warming awareness taking precedence in the public consciousness and consumers making more informed decisions to avoid harmful chemicals. Transitioning to a green clean lifestyle comes with more benefits than just some potential savings in your pocketbook. Many people are still oblivious to the full extent of damage conventional cleaners cause to their health as well as the environment. To make matters worse, many times these “high-grade” caustic cleaners also cost more than their eco-friendly counterparts. When someone is looking to get something cleaned they have become accustomed to the expectation that some kinds of chemicals will be used to achieve the desired results. What they usually aren’t aware of is the extent of damage they’re doing to themselves and the environment by choosing to continue participating in dangerous and outdated cleaning practices. To get those ovens, drains, and bathrooms sparkling clean it usually means using specialized cleaners with corrosive ingredients, bleaches, and various other disinfectants. This germ-fobia has led to the proliferation of poisonous cleaning potions to rid you of all those potentially lingering microscopic bacteria. This has unfortunate and dire consequences to one’s own personal health, the health of your family and also the health of the environment. these days people are choosing to make more socially responsible decisions when it comes to important things like sanitation and home health. There’s a wide variety of health hazards associated with chemical cleaners used in the average household in America. The detrimental effects are all undesirable and range from chemical burns to skin and lung irritation, while some have been directly associated with chronic and long-term health problems like cancer and asthma. Some of the most potent and even potentially lethal cleaners are bleach and ammonia-based which can cause irritation to the lungs, eyes, throat and even unconsciousness. Combining these ingredients, for example, creates highly toxic fumes known as chlorine gas which are extremely damaging to the lungs to say the least. Other ingredients such as fragrances in cleaners may have lower toxicity but contribute to long-term health effects like cancer or hormone disruption. Not all chemical cleaning ingredients break down in the water treatment process after they are flushed down your drains and into our waterways. For example, according to a study by the USGS “In a May 2002 study of contaminants in stream water samples across the country, the U.S. Geological Survey found persistent detergent metabolites in 69% of streams tested. Sixty-six percent contained disinfectants.” These have been proven to be detrimental to the embryonic development of sample fish populations, among numerous other negative environmental impacts. Phosphates are another famous water pollutant which is a direct biproduct of harsh chemical cleaning agents that can’t be properly broken down before entering the environment. These are commonly found in laundry detergents and other cleaners as a water softener. These eventually deplete the water’s oxygen supply, killing off fish, aquatic plantlife and other organisms creating uninhabitable dead zones. The list below are some of the dangerous chemicals we recommend to avoid or replace with natural cleaning solutions. When it comes to avoiding using the harsh chemicals which are designed to make your cleaning chores easier but at the cost to your personal and environmental health, finding natural alternatives are becoming more and more desirable these days. Families who are concerned with the long term impacts of their house cleaning decisions or are already experiencing immediate issues like skin irritations and asthma-like symptoms are looking for more eco-friendly options. 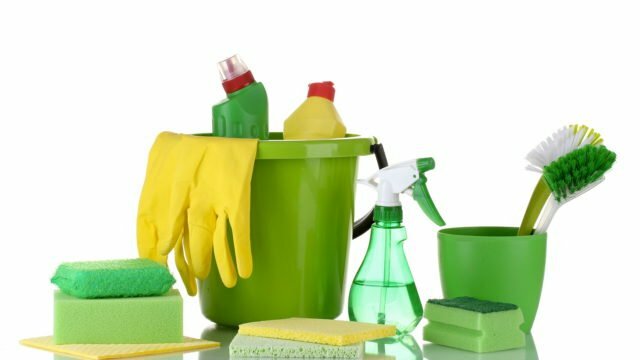 Below are some suprisingly effective and cheap environmentally friendly cleaning options that delivers results. These user-friendly products are safe for children and are widely available. Baking Soda: Neutralizes acids and dissolves proteins which increases the cleaning power of other natural detergents you’re using or even just with water. If you want to create a foaming powder which can be used to effectively clean drains, toilets and tubs then mix it with some vinegar. You can also mix it with water to clean stains out of sinks or porcelain and is even safe enough to brush your teeth. Sodium Bicarbonate: This natural mineral is effective for breaking down grease, removing stains, softening water and even descaling coffee pots. Club Soda: This makes for a great laundry and upholstery cleaning solution. Hydrogen peroxide is a safe to bleach for eliminating mold, mildew, and other stains. It can also kill dangerous bacteria strains such as salmonella. You can use this in place of most cleaning scenarios that would have otherwise previously required the use of bleach and more harmful ingredients. 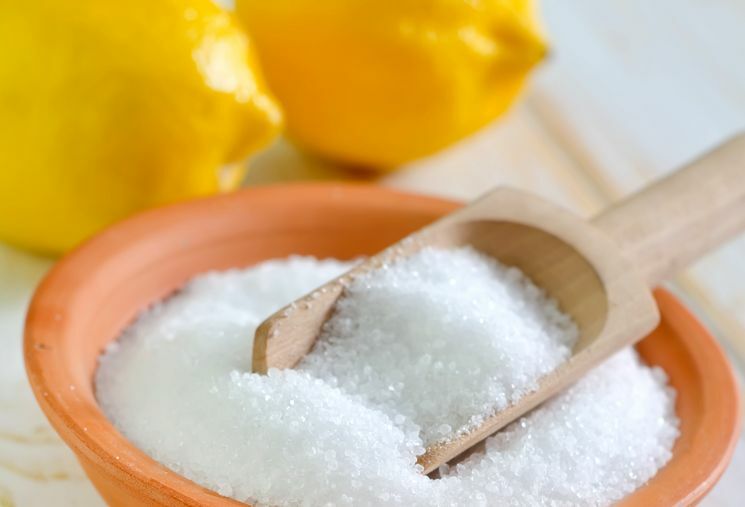 You may be surprised that salt can be used to clean, disinfect, and deodorize many areas of your home. Add salt to green cleaning agents like lemons to remove rust. Mix it into a paste to remove caked-on stains in the oven and on pots or pans. Keep sponges germ-free and odorless by soaking them in a salt water solution when not in use. Vinegar is an exceptional all-purpose cleaner which can be used to clean windows or even cut through grease. you can also safely use it on wood floors and plastic to disinfect and deodorize. It can also be used in the kitchen and bathrooms to remove stubborn mold. Natural soaps added with alkali are needed to clean through stubborn grease and other general cleaning scenarios. You can use this versatile cleaning agent on nearly every surface or in any room of your home and comes in a variety of forms. Mix these with other eco-friendly cleaners for a pleasant smelling deodorizer or disinfectant without the harsh chemicals other products are likely trying to cover up. Lemons make a great deodorizer, cleaner, and polishing agent. Use lemons in clean your home while also leaving behind a fresh scent. The acid in lemons helps to cut through grease while killing germs and leaving your house smelling citrus fresh. Our local Pacific Northwest Green clean team understands the importance of taking care of our environment. We enthusiastically offer green cleaning alternatives to promote and encourage people to choose on more sustainable alternatives. Having a clean and healthy home should be no exception and at Clean Arrival LLC we go above and beyond when we get a new green cleaning client. We strive to show first-timers and repeat customers alike how we can achieve the same level of cleaning without using the dangerous and harmful common chemicals described above. Your family and future generations will thank you later. Our green cleaning service areas includePortland, Milwaukie, Beaverton, Hillsboro, Lake Oswego, Oregon City, Tigard, King City, Troutdale, West Linn, Gladstone, and Gresham. Contact us anytime for cleaning and we will be happy to help!